Out of all the social media platforms, Instagram is definitely one of the most popular. With Instagram Stories, the live feature and fun filters, Instagram is home to millions of active accounts. This is why it’s a great platform to use in order to increase your reach and gain a ton of new followers. 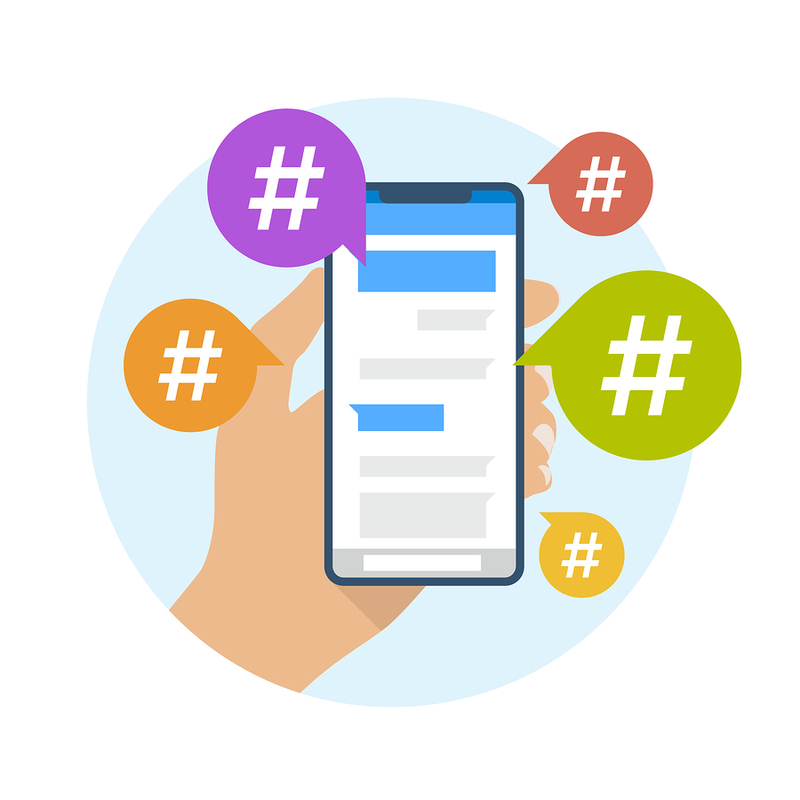 While there are many strategies you can use in order to gain traction, there’s nothing like having an effective hashtag strategy to push your brand in the right direction. 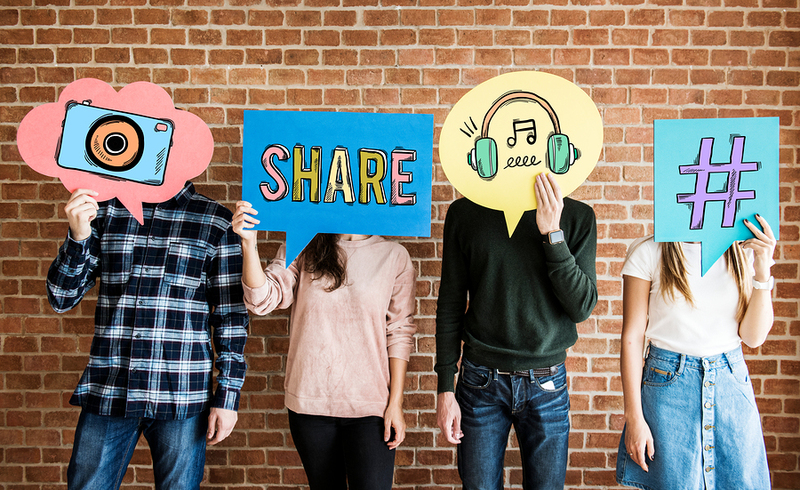 Just as important as using email marketing to connect with your audience and to increase sales, social media platforms like Instagram are big winners as well. However, just like most other platforms, you can’t just throw money at it and expect to see a nice ROI overnight. The best way to create ads for Instagram and to connect with your audience is through their remarketing options, and also understanding how #hashtags work on the platform. In order to be effective with hashtags, consider the following ways you can actively use them. 1. Find the relevant hashtags. Hashtags are social media’s answer to keywords. They serve the same purpose. They allow people to type in what they’re looking for and find the right content. This is why it’s important to use hashtags that are relevant to your brand. Don’t make the mistake of using a hashtag for every single item in any given photo. Instead, think about your brand and create a group of hashtags that will put your content in front of new audiences. If you are a beauty blogger, do an extensive keyword search to find out the most popular hashtags for beauty bloggers. If you are someone who enjoys to create vegan dishes, do a lot of research to find out which hashtags the vegan bloggers are using on Instagram. You can also hire someone to do an extensive keyword search to help you in this effort. 2. Use up to 24. When you’re dealing with Instagram, try not to use more than 24 hashtags in one post. You don’t want to use more than that because Instagram will automatically delete the caption altogether. You don’t have to use all 24 hashtags. However, don’t limit yourself to only five or 10. It’s best to maximize the amount of reach you have by using as many hashtags as you can. Consider each hashtag as a representative of a new community that you can put your brand in front of. Since you’re looking to increase your reach, you might as well maximize the impact with the maximum of hashtags you can possibly use. 3. Create a custom hashtag. Within the hashtags you use, make sure that you create one that is completely unique to your brand. If you are a musician who was releasing a new album, use the album name as one of your hashtags. Encourage your users to use the same hashtag as they repost your album on their pages. This way, when somebody wants to find out more about your album, they can put in the special album hashtag, see all of the posts and become more engaged. Some people like to place their hashtags within the caption section of the post. You can add space between your caption and your hashtags. Some people like this because it’s more appealing from a visual standpoint. Sometimes, a bunch of hashtags can look jumbled up in a space. To create separation, you can add emojis, periods or hit the space bar a few times in order to create some distance. However, there are many people who also use the first comment section of the post to add their hashtags. You’ll still be able to achieve the same impact, but you won’t have to utilize your precious caption area in order to promote. 5. Participate in active communities that use a specific hashtag. As you’re creating content that will reach the masses, you have to remember that this is social media. There is a social element to everything you’re doing here on Instagram. Knowing this, it is essential to find the active communities that are in sync with your brand. Be intentional about using the community hashtag in order to be sociable and discovered within that community. A great example involves traveling. There are tons of travel groups with accounts on social media. If you are somebody who runs a travel account, find a few large Instagram platforms that specialize in traveling. It’s best to pick accounts that you’d like to be featured on as well. Many large Instagram brands will feature different smaller brands as long as their content is beautiful, captivating and relevant. The key to making sure that you get featured is the hashtag. If you don’t utilize the hashtag of that community, there’s really no way for them to find you. This is another reason why it’s best to create quality content and use tons of hashtags that include relevant communities. This will allow you to expand your chances of getting noticed. 6. Interact with other brands who use similar hashtags. Because you have your own platform and avenue to reach tons of people, it’s easy to make the assumption that it’s all about you. However, resist the temptation and urge to become self-focused. Instead, find ways to interact with other brands that are similar to your own. Point your followers in the direction of really great content creators that you enjoy. Be generous with your platform. You can also interact with brands that you’d like to collaborate with in the future. Collaboration is key to growth. If you collaborate with another brand, the both of you can create your own hashtag to connect with one another’s followers. When you’re able to redirect people to a new account, they’re able to do the same with you. When you have more people liking your content and using your hashtags, the more powerful you will be to the Instagram algorithms. Instagram and the use of social media hashtags are here to stay. Just like email marketing. The difference between those who will find success with any social platform and email marketing, is the time and effort people are willing to put into them. At the same time, it’s also important to find any tools or solutions out there that can help you better manage your social platforms and email as well. A perfect example of this would be the technology we have in place to help both site owners make money with their traffic, and also for our valued clients to increase their customer count and ROI when it comes to their email list. To advance your own knowledge and business expertise, connect with AfterOffers and see how you can increase your mailing list size overnight through our 100% opt-in email lead generation solution. Your competition is likely using it, so why aren’t you?